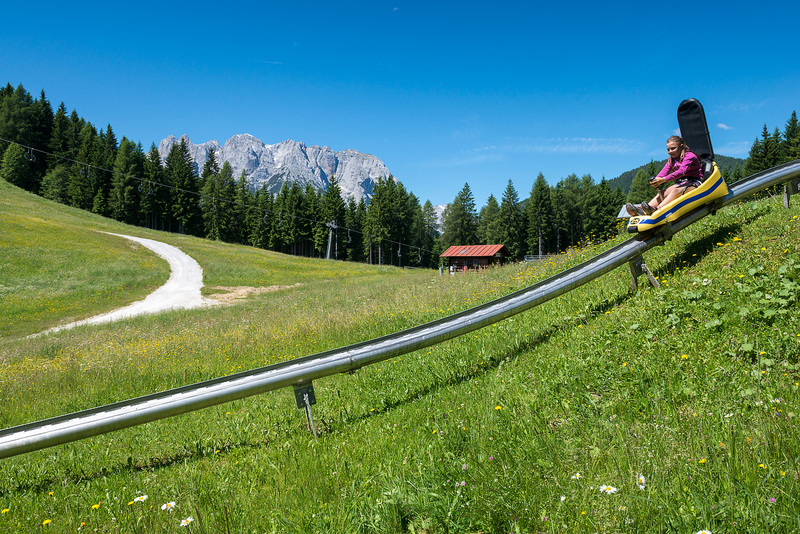 The Fun Bob is one one of the most popular and enjoyable summer attractions in Auronzo di Cadore and the jewel in the crown of the Monte Agudo lift area. The rail starts alongside the upper station of the Taiarezze-Malon ski lift station at an altitude of 1361 metres above sea level. Once you’ve climbed into your bob and been made safe by the Auronzo d’Inverno staff, all you need to do is to push the lever forward and let yourself be carried along by the fun. 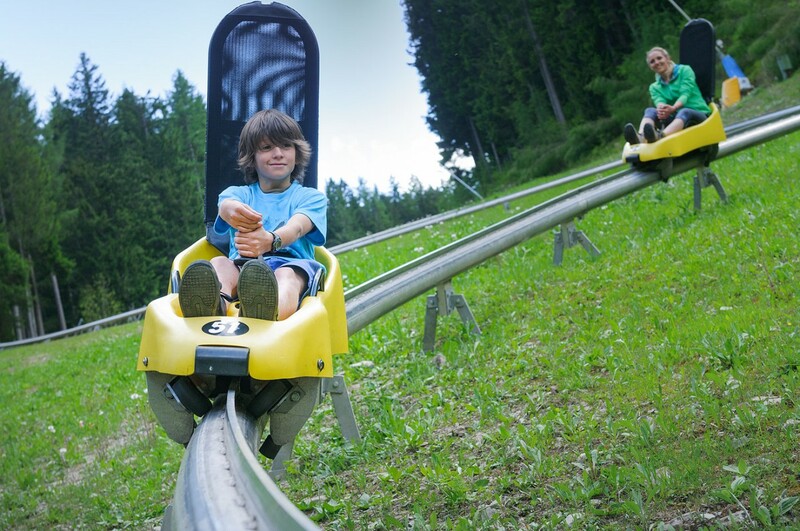 The rail speeds along the spectacular straight lines, bends and curves which are ski slopes in winter. - aluminium tube system to which the bobs are fixed with various safeguards so that they cannot come off the rail. - maximum speed: 45 km/h.